Before I tried this serum, I had not used a retinoid product before. 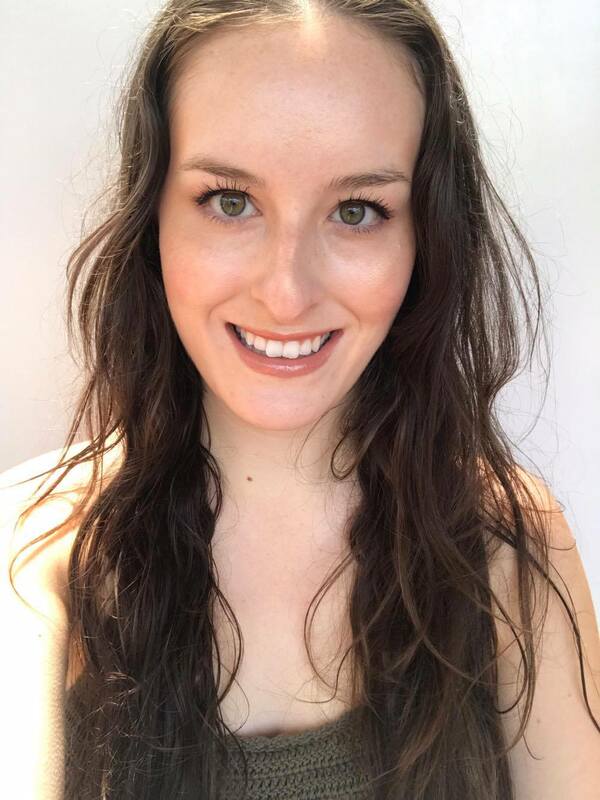 I had put the idea to the side as I thought I didn't particularly need the anti-ageing benefits, and I was scared of the purging effect that retinoids can sometimes cause as they work to unclog your skin. 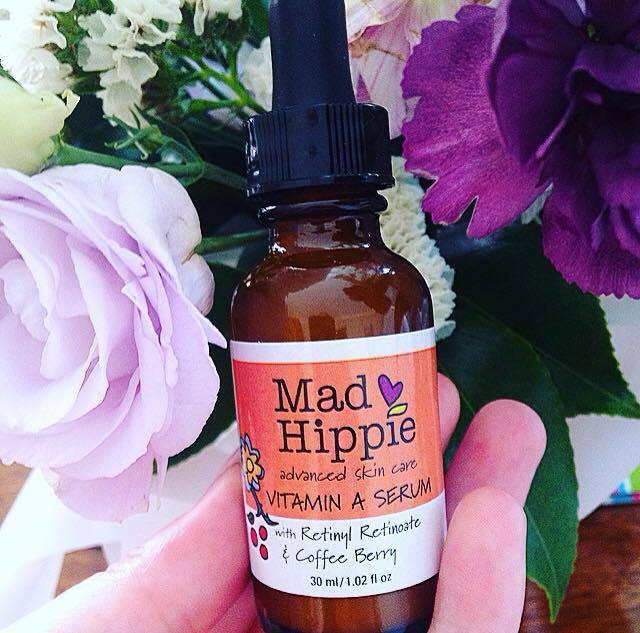 However, I was happy to try out Mad Hippie's Vitamin A serum as I had had such a positive result with the other Mad Hippie products I had tried. And boy, am I glad I did. This serum is the second of the three skincare products Mad Hippie sent me to test and post an honest review on my site. (I also got sent a cleanser (review here), and a vitamin C serum (review to come!). 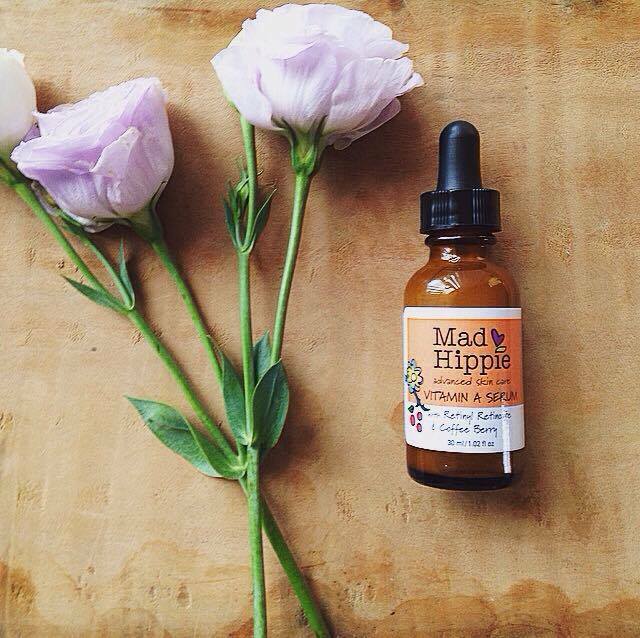 Mad Hippie's Vitamin A Serum was designed to exfoliate, soften and reduce the appearance of wrinkles. It is suited to sun damaged, aging skin, but I also recommend it for congested skin (more on that below!) Mad Hippie uses a new form of vitamin A. This form is called retinyl retinoate; a retinoid as effective as retinol or retinoic acid at reducing the signs of aging, but without the irritation, skin sensitivity and dryness that these other ingredients commonly cause. Retinyl retinoate has also been shown to help produce hyaluronic acid at a greater rate than retinoic acid (source here). The amazing ingredients in this serum don't end at retinyl retinoate though. It also contains hyaluronic acid and phytoceramide, which help to plump up and moisturise the skin, while reducing wrinkles. It contains coffee berry, and Alpha Lipoic Acid; two antioxidant rich ingredients which enhance collagen production. Oat beta glucan is also included for its hydrating and soothing properties, and its tightening and wrinkle reducing effects. This serum contains coconut oil to moisturise, soothe skin, and reduce the appearance of fine lines and discolouration. I am sensitive to coconut oil in that it can break me out, depending on the formulation, but I have to say it does not break me out at all. Full Ingredients: Deionized Water, Carthamus Tinctorious (Safflower) Seed Oil, Potassium Cetyl Phosphate, Cocos Nucifera (Coconut) Oil, Phenethyl Alcohol, Caprylyl Glycol, Ethylhexyl Glyc- erin, Sodium Hyaluronate (Hyaluronic Acid), Retinyl Retinoate, Aloe Barbadensis Leaf Juice, Xanthan Gum, Coffea Arabica (Coffee) Fruit Extract, Fragaria Ananassa (Pineberry) Extract, Oat Beta Glucan, Phytoceramide, Steam Distilled Aurantifolia (Lime) Essential Oil, Alpha Lipoic acid, N Acetyl D Glucosamine. 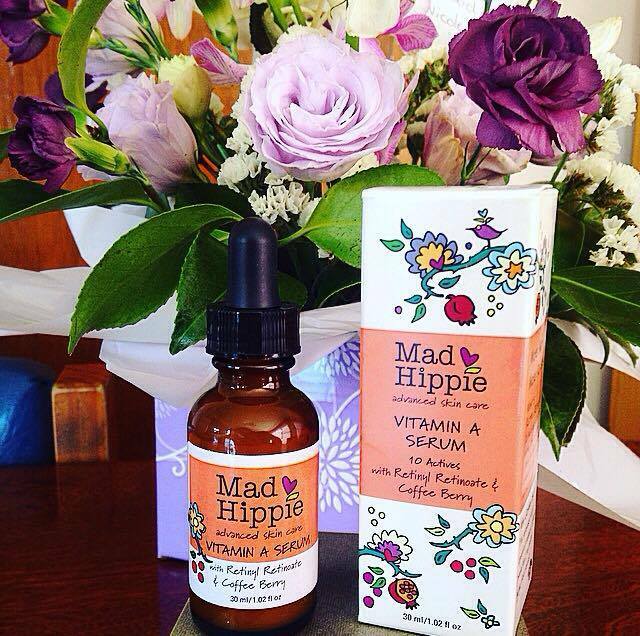 Mad Hippie's Vitamin A Serum comes as a thin white liquid that quickly absorbs into my skin without any residue or stickiness. I use between half to one pipette worth of product at a time on average. It has a light sweet smell that disappears quickly after it absorbs into my skin. I have been using the vitamin A serum every second night for over a month now (every second night you ask? I alternate with the Exfoliating serum by Mad Hippie, which you can find my review on here). Mad Hippie recommend that you use either the vitamin A serum or the Exfoliating serum as your exfoliant, but I have found alternating them works with my congestion prone skin. This serum, combined with the Exfoliating serum has done wonders on my congestion in my chin area. I have noticed a dramatic reduction of visible bumps under my skin, which I couldn't be happier about. My skin tone seems much more refined and even than it did before. The beginnings of sun damage I have on my cheeks and forehead seems to have faded. As someone with dry skin, I have to say I didn't experience any drying or peeling using this, which I am glad about. I would recommend this for anyone that wants to begin using retinoids, and wants a product to jump in with. You can get this serum on Mad Hippie's website, here.